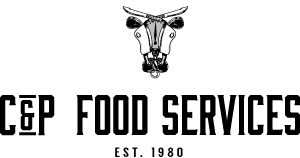 Established in 1980 by Managing Director Christopher McCormick along with his wife Pearl, we are an independent supplier of quality sourced produce specialising in rare breed and dry aging across beef, pork and lamb. We have been in the industry for over 30 years, and from this gained extensive knowledge into the trends and desires of our chefs. We aim to provide a service that we are proud to have our family name tied too. We maintain a very personal relationship with our customers, and are available to them night and day allowing a truly connected partnership and them to be supported by us for any needs they may require. At C&P we are focused on sustainable purchasing, in doing so we move with seasonal produce to reflect what is required in the kitchen to offer products at there peak. To achieve and maintain the highest levels and standards in all aspects of the business in a very highly competitive market. Our customer base is extensive and diverse, and encompasses major corporate groups, independent catering companies and individual sites. As a company we are totally committed to provide a first class service, the finest quality, the keenest prices while still maintaining the highest levels of ‘Food Safety’. To ensure our ‘Food Safety’ standards are achieved and maintained, we have adopted the formalised approach, based on EFSIS (European Food Safety Inspection Service). To enable us to maintain this high level of ‘Food Safety Law Compliance’, we constantly receive the latest information on directives, etc. from the Meat & Livestock Commission, S.O.F.H.T. (Society of Food Hygiene Technologists) and from our local E.H.O’s. All our products are produced to the Meat Buyers Guide specifications unless otherwise requested. Our meat products are sourced from Scotland, England, Ireland and Wales, all beef is aged for a minimum of 3 weeks or longer if required. Imported ranges can be supplied if required. We are a certified member of the Guild of Scotch Quality Meat Suppliers and an approved stockist of specially selected Scotch Lamb.